This story first appeared in the March/April 2019 edition of Long Island Tennis Magazine. Click Here for the full digital edition. 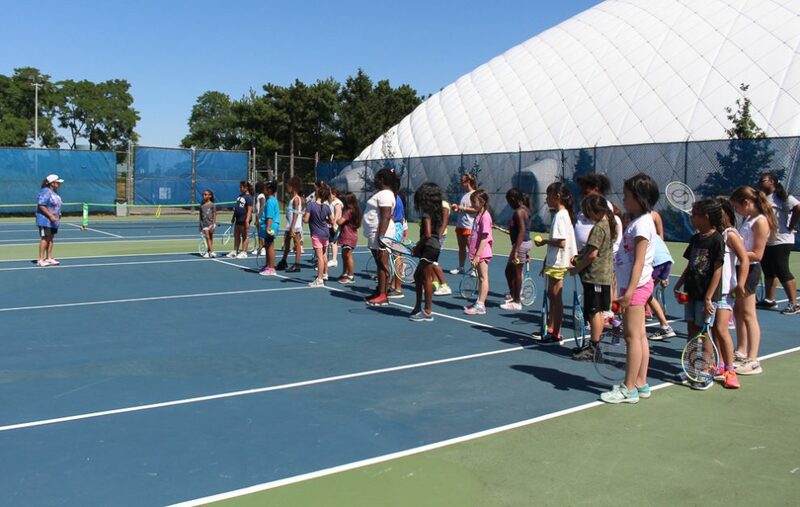 At the 2019 USTA Eastern Conference, the Section honored longtime tennis coach and USTA Long Island Executive Board Vice President Sunny Fishkind with its 2018 Woman of the Year Award. The honor is given each year to a female volunteer of USTA Eastern in recognition of their outstanding service in the tennis community, and few embody this mantra more than Fishkind. Fishkind served as the Boys Varsity Head Coach at Bethpage High School from 1979-1990, and the Girls Coach from 1979-2005, and is a former Assistant Coach of the Men’s And Women’s Tennis Teams at Hofstra University. She is the Co-Director of the Hofstra Summer Camps tennis programs alongside her husband, Eddie. In her time at Hofstra, Fishkind has touched the lives of hundreds of campers, one of those being Lena Diller, a former collegiate player at Union College, who began as a camper in the program and is currently a camp counselor. After more than five decades of teaching tennis and donating her time to the growth of our sport, Fishkind still continues to be one of the most recognizable faces in the Eastern Section. She doesn’t plan to stop anytime soon.